Learning tutorial about how to draw a cartoon like fox easily. In step by step method, it will be easy for beginners to sketch for their own purposes. As we all studied in our schools, fox is always depicted as a cunning animal in many stories and chapters of our textbooks. Here are some of the facts for you, well fox belong to dog family and are bigger than cats. They were originally Britain species. Their lifespan is up to 14 years more or less. In Latin, foxes are known to be “Vulpes”. They, too have many species roaming around in every jungle of the world by their close resemblance with dogs and most importantly with wolves. There are more than 48 species of foxes with every color and characteristic. They are nocturnal so they are normally shy to human activities and sunlight. They are usually termed as vixens. Their houses are usually underground buried under the soil. Foxes have whiskers on their heads as well as on their faces. They are good tree climbers and were seen many times climbing tree branches. Their prey includes tiny rodents and mice, found in abundance in country areas. 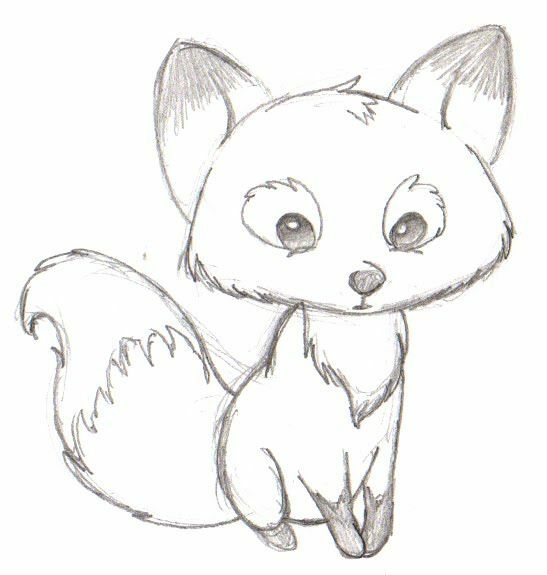 We will show you how to draw a cartoon fox, not a real one in step by step process for beginners and kids. There is a load of information about fox that cannot be covered by us now, so we will wind up our topic and will jump to our conclusion. We will practice now a cartoon type not a real version of a fox in our tutorial. It will be a little bit funny but i am sure you can handle it. Watch the video tutorial below and tell us whether you liked the video or not, if you haven’t, please tell us about our shortcomings and wasy to fix them. Share this video with your loved ones and do not forget to watch other exciting ones being prepared and many have already been up to the mark and will be uploaded soon.